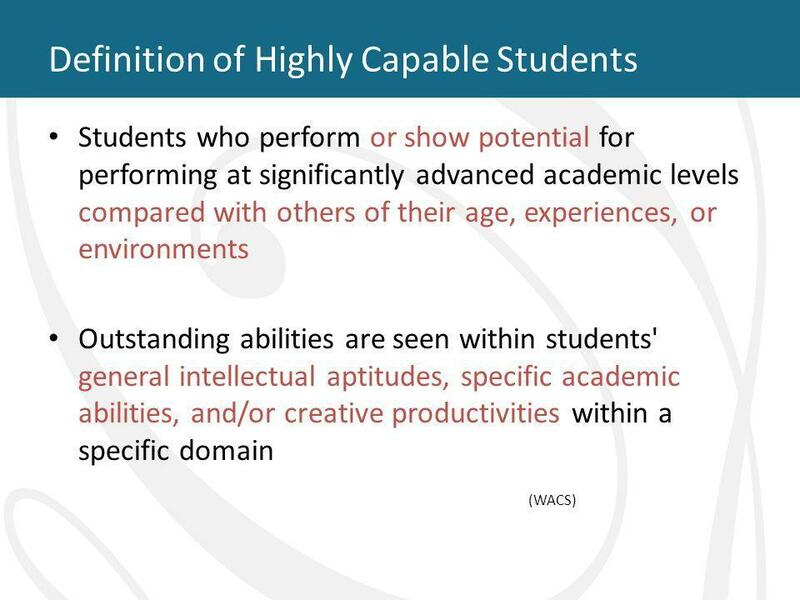 The period for referring a student for K-12 Highly Capable (Gifted) evaluation is open from January - February for possible designation in the 2019-2020 school year. 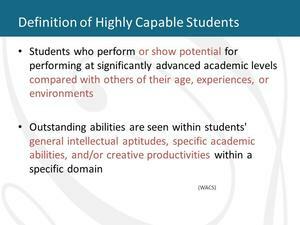 Anyone can refer a student for consideration. 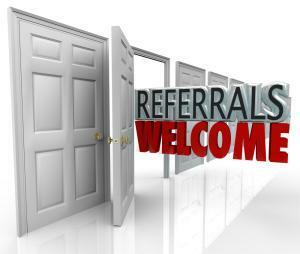 Please follow the link for more information and referral forms. Please see the Mead website, Highly Capable page, for more information. Click here for the parents/guardians/other printable form. Click here for the link to the online form for parents/guardians/other. Testing will take place beginning this spring. If you have questions, you may contact Kim Montecucco at 465-6033.